All GRAYHAWK PARCEL 3K(A) homes currently listed for sale in Scottsdale as of 04/25/2019 are shown below. You can change the search criteria at any time by pressing the 'Change Search' button below. 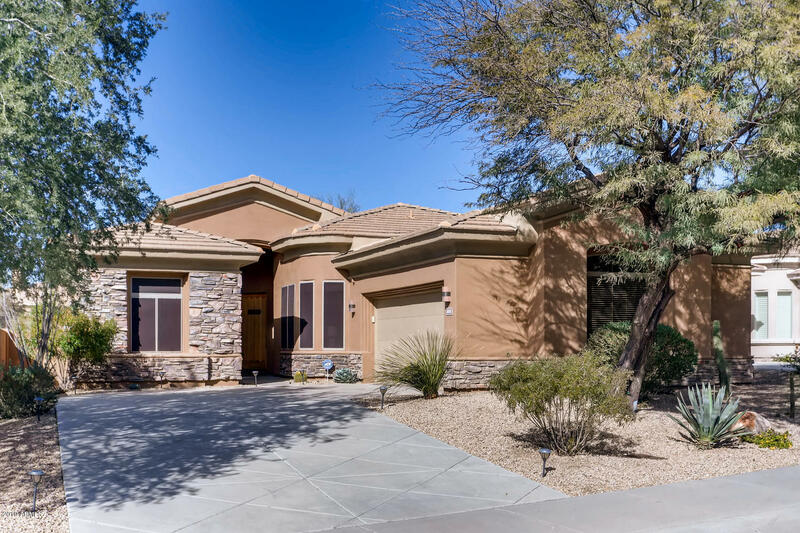 "Grayhawk on a North/South lot! One of the most sought after communities in North Scottsdale. This rare 4 bedroom beauty shows like a model. Lightly lived in with 12' ceilings and gourmet chef's kitchen, a perfect entertainer's retreat. Heavily upgraded, boasting a split master bedroom with direct access to the cozy spa just outside. A bonus room for office/den/exercise. The comfortable back yard with maintenance-free artificial grass, features a large built-in BBQ island and patio setting to enj"